I remember the moment in my career when I learned to ask for help. I thought I could figure it out on my own. I thought things would surely resolve itself. I didn’t want to admit I was struggling. I didn’t want to bother anyone with my dilemma so I wouldn’t dare reach out for help. But the situation had gone on and on for longer than I would’ve liked and it didn’t seem like it would turnaround any time soon. I realized I couldn’t do it all on my own. I realized that the wait-and-see approach was not helping my situation at all. I realized I was the only one holding me back from getting what I wanted. I realized I had many trusted contacts and professional relationships with people who would love to help. And when I did, something miraculous happened. The person I reached out to happened to know of a job opportunity that was perfectly aligned with my career goals and for a higher salary than what I had been making. She made the connection and a few weeks later my career situation had changed and I was in a new job doing what I loved to do. Sounds too simple, right? All of this from simply asking for help. This was my story and it happened to me. I could tell you I went on for months submitting endless resumes until I found the right job. I could say I sucked it up and things just changed on their own. But that would not be true. My career took a huge leap the moment I decided to humble myself, take a stand for what I wanted, and invite others in to help me. I think oftentimes we don’t want to believe that making profound changes can really be that simple. We rather believe that change is too difficult and filled with drudgery because if we believe that, we can be justified in staying stuck. 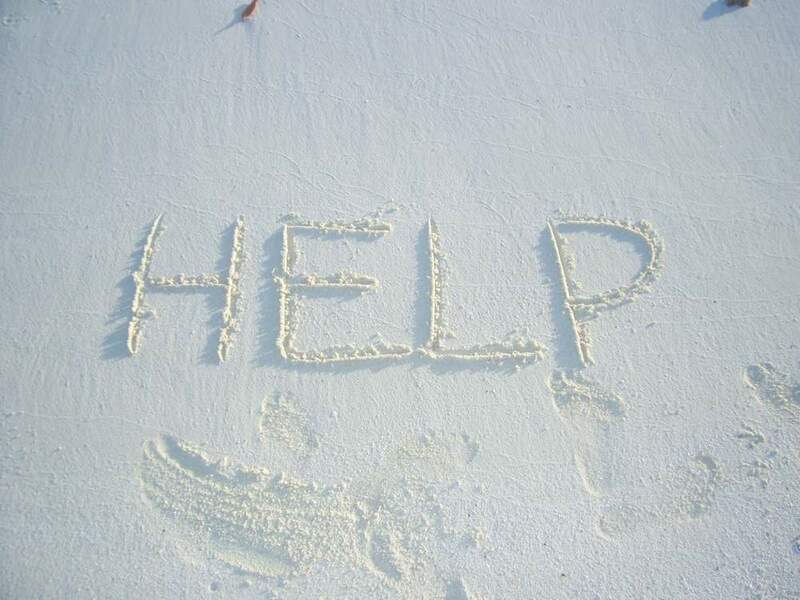 Some believe that asking for help is a sign of weakness and that others would be bothered by you asking them for help. We wonder, why would super successful so-and-so stop to help me? Think of the last time someone asked you for help. Maybe someone needed your career advice, a job at the company you worked for, or someone on the street simply asked you for directions to their destination. Didn’t you feel honored that they even asked you? Weren’t you happy to be in a position to help them? And when you couldn’t help them, didn’t you wish that you could? We are hard-wired for helping each other. The brain is built for generosity. It’s been scientifically proven that certain parts of our brain lights up when making altruistic decisions. Simply put, giving makes us feel good and we usually jump at the chance to help others if we can. Especially for those of us who love to give and help others, try putting yourself in a position to receive help this time. Think about this the next time you find yourself wanting a change in your career situation. What could you stand to receive by asking for help? For additional inspiration on asking for help, check out this video story on a woman who started her own tea business. She talks about why it’s ok to ask for help. Check it out: http://www.slideshare.net/Women_Connect/zhena-muzyka-40844524.